I use Google Maps a lot on both the web as well as on my iPhone. 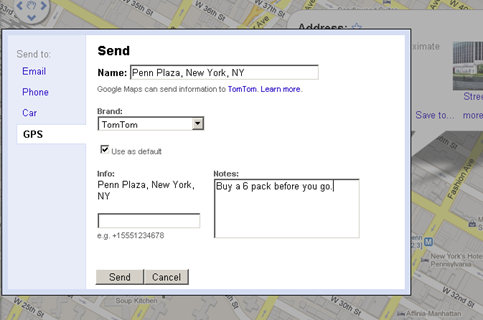 However, I just came across an option in there to send your directions to different devices. For eg. 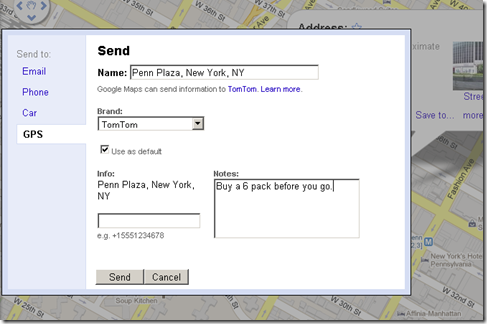 you are looking up an address on the web in Google Maps and getting ready to leave. I’d normally email it to myself and open it in my iPhone. If you had a GPS unit in your car or if your car has a built-in navigation system, there is a better option. Next time you are looking up an address, remembering this option to easily send it to wherever you want can go a long way. Have more tech tips like this one? You can share it here in the comments or on my twitter page.